Once again we are at Monday and the weekend has flown by (Please come back). So it’s time to cheer ourselves up and embrace that it’s a new week and officially in to spring. 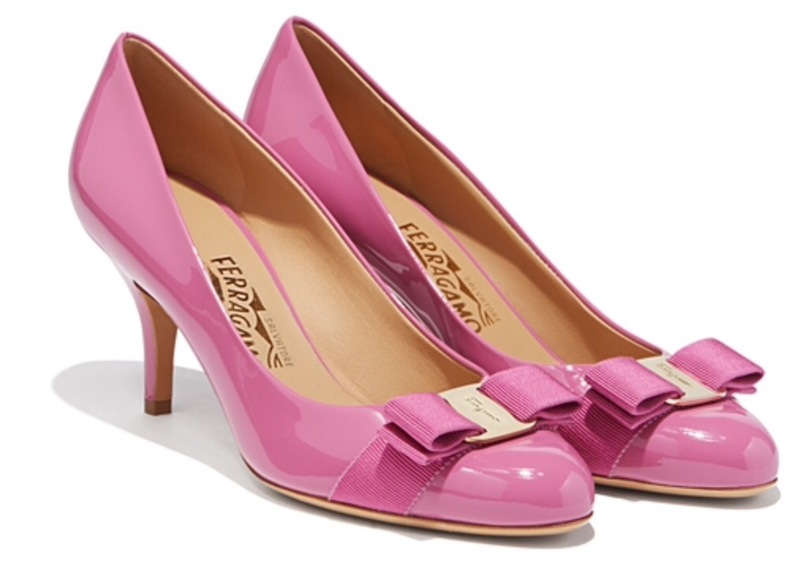 So we fancy a bit of pink in our lives this week. 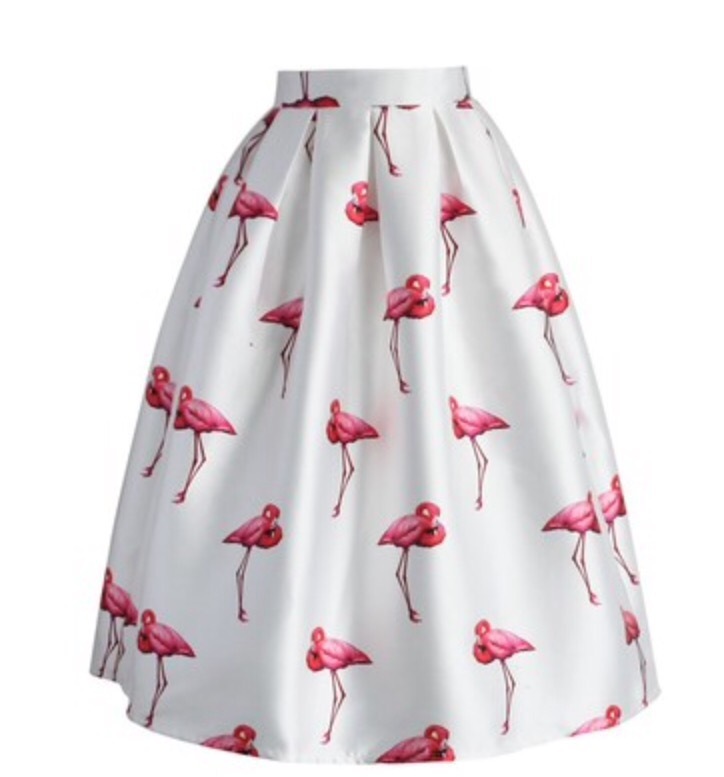 So we start of with the gorgeous A-line skirt by online specialist Elsie Attic. The midi skirt is the hot trend for the spring season so why not mix it up with a bold print. Elsie Attic are known for there great selection of midi and tulle skirts and this one is perfect. The print is not to much is just a great balance between eccentricity and elegance. When you have a print like this I would always pair it with a block colour neural so you don’t take a way from the print. 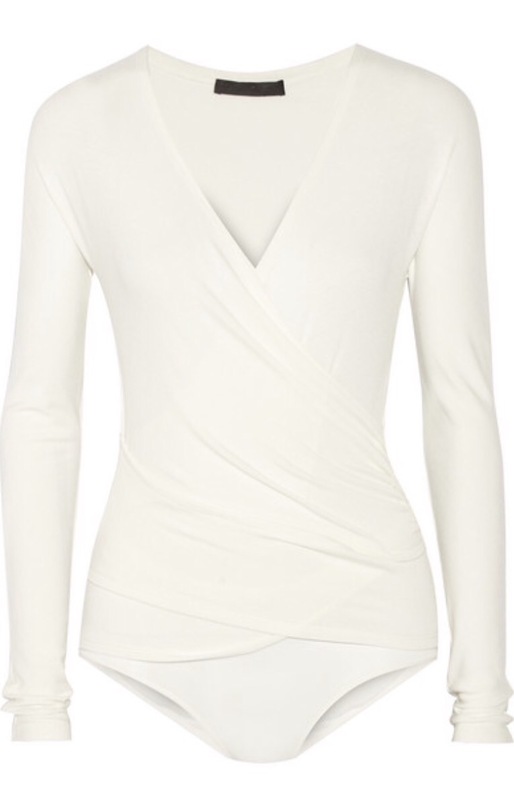 A body suit is a perfect option as you don’t have to worry about tucking any blouse in and this one from Donna Karan has great rouching that is flattering on all body shapes. Now comes to our favourite part….ACCESSORIES!!!! We are definitely feeling pretty in pink with these accessories starting with our designer of the moment Sophia Webster. We found a matching flamingo bag and it is just the version of perfection. We cant get enough of her collection. 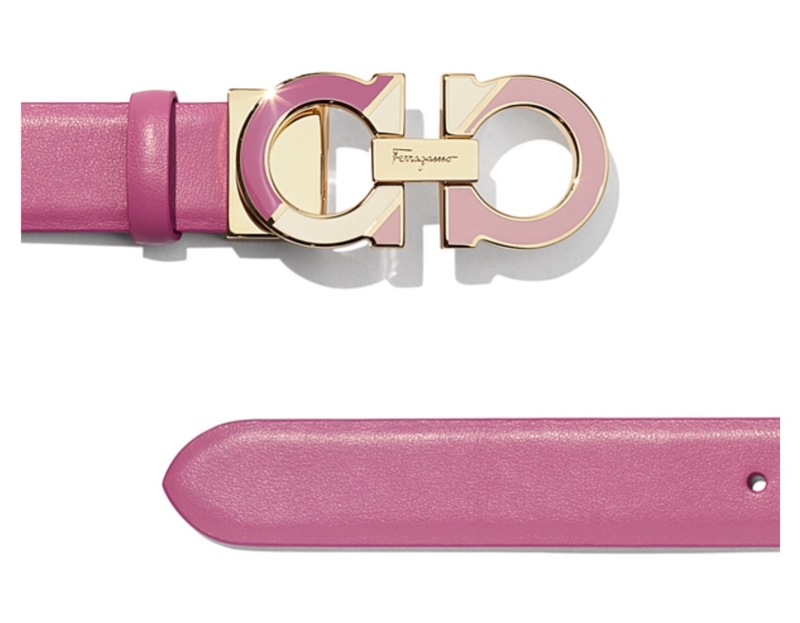 To finish the look we have a thin belt and matching shoes from Ferragamo to just give that finishing touch of pink to the look.